ATACO Steel Products produces high quality, high precision welded assemblies to meet your unique needs. We utilize multiple robotic welders, pulse welders, resistance welders, and an array of MIG welding equipment ranging from 300 to 450 amps. All machines are cleaned, maintained, and calibrated regularly to ensure that our customers receive the best welding service possible. 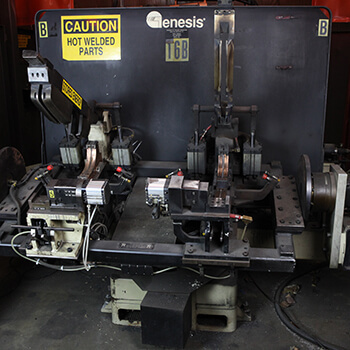 Our robotic welding capabilities enable us to weld a wide range of parts quickly, efficiently, and with exceptional precision. 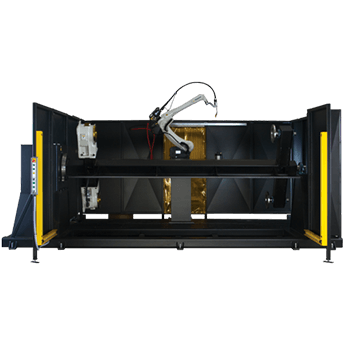 While many robotic welding systems used in our industry today “fly blind,” ATACO’s robotic welding equipment uses seam tracking technology to take continuous readings throughout the process and adjust the weld path accordingly. Seam tracking auto-corrects for any part variations, resulting in flawless welds placed precisely where they’re needed. Our robotically welded assemblies also benefit from advanced MIG welding technology that eliminates weld spatter, which is critical for parts with cosmetic surface considerations. We take pride in our manual welding capabilities. All of our welding personnel are trained and tested in the classroom, and must pass welding skills tests to become American Welding Society (AWS) certified. 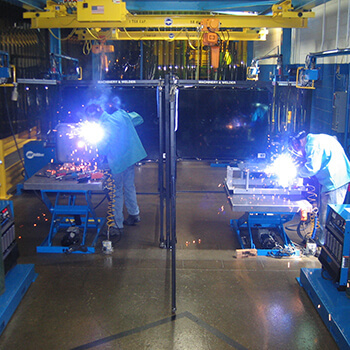 Each of our welders follows weld procedure specifications during production to ensure that welded assemblies meet the requirements of both the customer and the AWS. We can follow your company-written weld specifications, or recommend a weld spec that suits your application. Part positioning is another important consideration for precision welded assemblies. 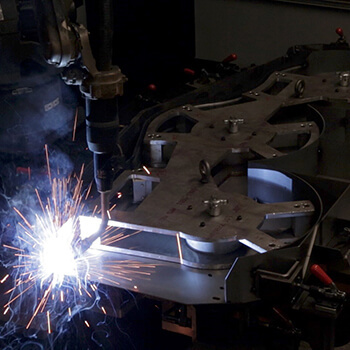 ATACO utilizes advanced part manipulators to position parts for welding at the perfect angle. With our part manipulators, we can position our welds in flat or horizontal positions to avoid welding vertically whenever possible. More precise part positioning leads to better quality welds and better quality finished products. Request a quote today on the welded assemblies you need, or contact ATACO Steel Products to learn more.